Dr. Hussain Attia is an instructor in the EECE Lab of the Electrical, Electronics, and Communications Engineering Department; he has taught Introduction to Engineering, Introduction to Electrical Engineering Lab, Introduction to Signal Analysis Lab, Signal and Systems I Lab., Electric Circuit Analysis I Lab., Electric Circuit Analysis II Lab., Signal and Systems II Lab., Digital System Design Lab., Linear Electronics I Lab., Electric Machines Lab., Linear Electronics II Lab., and Communication Engineering Lab. Before coming to AURAK, Dr. Attia held various nonacademic positions, including work with Simatic Step 7, and NI-National Instruments with HMI. His experience included work with control, monitoring, and protection systems designed for robotized car parking, design and implementation drives for AC & DC motors, and other work for robotic systems, including design and implementation of different electronic circuits and panels. Dr. Hussain Attia earned his Ph.D. in Power Electronics from the University of Malaya, Kuala Lumpur, Malaysia in 2019 and his M.Sc. in Electronic Engineering and B.Sc. 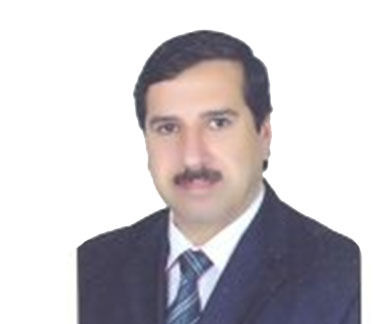 in Electronics and Communications Engineering from the University of Technology, Baghdad, Iraq in 1999, and 1991 respectively. Dr. Attia is a member and reviewer of the IEEE Society, IEEE Transaction on Power Electronics, IET-Power Electronics, IET-Electric Power Applications, IEEE Conferences. His research interest include Power Electronics, AC/DC Drives, Solar PV Converters and Inverters, Pulse Width Modulation (PWM) Techniques, Improving Inverter Performance, Harmonics Elimination/Reduction Techniques, and Maximum Power Point Tracking Techniques. Since 2000, he has been working on many research projects in power electronics and renewable energy generations and conversions. During the last five years, Dr. Hussain published more than 50 research papers, most of them in the field of Power Electronics. He served as a technical and organizing member for many IEEE and international conferences such as ICEDSA’16, ICECTA’17 and ICEWES’18. Hussain A. Attia, Yousif I. Al-Mashhadany, Beza N. Getu, “Design and Simulation of a High Performance Standalone Photovoltaic System”, ICREGA’14 – Renewable Energy: Generation and Applications, Springer Proceedings in Energy 2014, pp 683-697. HA Attia, TKS Freddy, HS Che, WP Hew, AH El Khateb, “Confined Band Variable Switching Frequency Pulse Width Modulation (CB-VSF PWM) for a Single-Phase Inverter With an LCL Filter, IEEE Transactions on Power Electronics (ISI indexed),32 (11), 2017, 8593-8605. 19, Iss. 1, pp. 44-57, Publisher KIPE, Jan. 2019. Hussain Attia, Beza Getu, Abdullah Asaad, Ahmed Abbas, Mahmoud Al Nuaimi, Abdulhadi Brazi, “Implementation of sequential design based water level monitoring and controlling system”, International Journal of Electrical and Computer Engineering IJECE (SCOPUS indexed Journal-Q2) , Vol. 9, No. 2, April 2019, pp. 967-972. Hussain Attia, “A Stand-alone Solar PV System with MPPT Based on Fuzzy Logic Control for Direct Current Portable House Applications”, International Review on Modelling and Simulations IREMOS (SCOPUS indexed Journal-Q2), Vol. 11, No. 6, 2018. Hussain Attia, “Artificial Neural Networks Based Maximum Power Point Tracking Photovoltaic System for Remote Park LED Lighting Applications”, International Review on Modelling and Simulations IREMOS (SCOPUS indexed Journal-Q2), Vol. 11, No. 6, 2018. Hussain A. Attia and Fernando del Ama Gonzalo, “Stand-alone PV System with MPPT Function Based on Fuzzy Logic Control for Remote Building Applications”, International Journal of Power Electronics and Drive Systems IJPEDS (SCOPUS indexed Journal-Q3),Vol 10, No 2: June 2019. Hussain A. Attia, “High Performance PV System Based on Artificial Neural Network MPPT with PI Controller for Direct Current Water Pump Applications”, International Journal of Power Electronics and Drive Systems IJPEDS (SCOPUS indexed Journal-Q3), Vol 10, No 3: Sep. 2019. Hussain Attia, “Evaluation of Selective Harmonic Elimination Pulse Width Modulation Technique for Unipolar Single-Phase H-Bridge Inverter: Comparative Study”, International Journal of Power Electronics and Drive Systems IJPEDS (SCOPUS indexed Journal-Q3), Vol. 9, Iss. 3, 2018, pp. 1157-1165. Hussain Attia, “Fuzzy Logic Controller Effectiveness Evaluation through Comparative Memberships for Photovoltaic Maximum Power Point Tracking Function”, International Journal of Power Electronics and Drive Systems IJPEDS (SCOPUS indexed Journal-Q3), Vol. 9, Iss. 3, 2018, pp. 1147-1156. Hussain A. Attia & Halah Y. Ali, “Wireless Alarming System for Ketosis Proactive Detection in Dairy Cattle”, Journal of Engineering and Applied Sciences, Vol. 13, Iss. 13, 2018, pp. 5116-5121, 2018. H Attia, A Omar, M Takruri, HY Ali, “Pulse Width Modulation Based decentralized Street LED Light Dimming System”, International Journal of Power Electronics and Drive Systems IJPEDS(SCOPUS indexed Journal-Q3), 8 (3), 2017, pp. 1238-1247. Hussain Attia, “Novel 9-Steps Automatic Voltage Regulator based on Two Step-Down Transformers”, International Journal of Electrical and Computer Engineering IJECE (SCOPUS indexed Journal-Q2), Vol. 7, No. 2, April 2017, pp. 576~583. Attia Hussain, Sagafinia Ali, “Novel Discrete Components Based Speed Controller for Induction Motor”, International Journal of Power Electronics and Drive Systems IJPEDS (SCOPUS indexed Journal-Q3), Vol. 7, Iss. 4, (2016). H Attia, “A Binary Weighted 7-steps Automatic Voltage Regulator”, Research Journal of Applied Sciences, Engineering and Technology (SCOPUS indexed Journal), 12 (9), (2016) 947-954. HA Attia, BN Getu, “Authorized Timer for Reduction of Electricity Consumption and Energy saving in Classrooms”, International Journal of Applied Engineering Research (SCOPUS indexed Journal), 11 (15), (2016), 8436-8441. BN Getu, HA Attia, “Electricity Audit and Reduction of Consumption: Campus Case Study”, International Journal of Applied Engineering Research (SCOPUS indexed Journal), 11 (6), (2016) 4423-4427. H Attia, BN Getu, N Hamad, “A Stable DC Power Supply for Photovoltaic Systems”, Int. J. of Thermal & Environmental Engineering 12 (1), (2016) 67-71. HA Attia, HY Ali, “Electronic Design of Liquefied Petroleum Gas Leakage Monitoring, Alarm, and Protection System Based on Discrete Components”, International Journal of Applied Engineering Research IJAER (SCOPUS indexed Journal) 11 (19), (2016), 9721-9726. HA Attia, “Multi-Functional Microcontroller Based Monitoring, Alarming and Protection System”, International Journal of Applied Engineering Research IJAER (SCOPUS indexed Journal), 11 (18), (2016), 9491-9496. HA Attia, M Takruri, “RFID Code Wireless Transceiver System Based on Amplitude Shift Keying Modulation”, International Journal of Applied Engineering Research (SCOPUS indexed Journal), 11 (10), (2016) 7155-7158. M Takruri, HA Attia, MH Awad, “Wireless Charging in the Context of Sensor Networks”, International Journal of Applied Engineering Research (SCOPUS indexed Journal), 11 (12), (2016) 7736-7741. Beza Negash Getu, Hussain A. Attia, “Remote Controlling of Light Intensity using Phone Devices”, Research Journal of Applied Sciences, Engineering and Technology RJASET (SCOPUS indexed Journal), Vol. 10, Iss. 10, 2015, pp. 1206-1215. Hussain A. Attia, Beza N. Getu, “Design and Simulation of Remotely Power Controller”, International Journal of Applied Engineering Research IJAER (SCOPUS indexed Journal), 10 (12), (2015) 32609-32626. H Attia, “Three Steps AC Voltage Regulator Based on One Step-down Transformer”, International Journal of Applied Engineering Research (SCOPUS indexed Journal), 10 (19), (2015) 39898-39902. Beza N Getu, Nasser A Hamad, Hussain A Attia, “Electromagnetic Fields Measurements of a Cellular Mobile Systems”, International Journal of Applied Engineering Research (SCOPUS indexed Journal), 10 (10), (2015) 26307-26320. Yousif I. Al-Mashhadany, Hussain A. Attia, “High Performance for Real Portable Charger through Low-Power PV System”, International Journal of Sustainable and Green Energy. Special Issue: Engineering Solution for High Performance of Solar Energy System. Vol. 4, No. 3-1, (2015), pp. 14-18. Beza N. Getu, Nasser A. Hamad, Hussain A. Attia, ‘Remote Controlling of an Agricultural Pump System Based on the Dual Tone Multi-Frequency (DTMF) Technique”, Journal of Engineering Science & Technology (JESTEC), Vol. 10, Iss. 10, October 2015, Taylor’s University, Malaysia. Attia H.A., Getu B.N., “Design & Simulation of a Solar Tracking System for Optimum Energy Absorption”, International Journal of Thermal & Environmental Engineering, Volume 8, No. 1 (2014) 17-24. Attia H.A., Getu B.N., Ghadban H, Mustafa A. K. Abu , “Portable Solar Charger with Controlled Charging Current for Mobile Phone Devices”, International Journal of Thermal & Environmental Engineering, Volume 7, No. 1 (2014) 17-24. YI Al-Mashhadany, HA Attia, “Novel Design and Implementation of Portable Charger through Low-Power PV Energy System”, Advanced Materials Research 925, (2014) 495-499. Attia Hussain, “High Performance PV System Based on Artificial Neural Network MPPT with PI Controller for Direct Current Water Pump Applications”, Accepted in March 6, 2019 to be published in International Journal of Power Electronics and Drive Systems IJPEDS (SCOPUS indexed Journal-Q3). Hussain Attia, “Supplying a Direct Current Electricity to the Isolated Dwellings through MPP Tracked PV System Based on Artificial Neural Network”, Accepted paper in 2nd March 2019 to be presented in 6th International Conference of Control, Dynamic Systems, and Robotics (CDSR’19), to be held in Ottawa, Canada during June 6 – 7, 2019. Hussain A. Attia, Mousa Mohsen, Basil Qadoor, Mohammed Al Shamsi, Osman Abdulsalam, Zahidur Rahman, “New Design and Implementation of AURAK Solar Car: Electrical Vision”, The International Conference on Energy, Water & Environmental Sciences (ICEWES 2018), November, 2018, Ras Al Khaimah-UAE. Hussain Attia, Maissa Farhat, Mousa Mohsen, Aaesha Alsadi, Abdulrahman Suliman, Ahmad Chohayber, Moath Alhalwani, Somaya Abuissa, Sumith Sunil, “Novel Design of AURAK Hydrogen Car: Electrical Aspects”, The International Conference on Energy, Water & Environmental Sciences (ICEWES 2018), November, 2018, Ras Al Khaimah-UAE. Ahmad Amhani, Hussain A. Attia, Mousa Mohsen, “Design and Implementation of Solar Tent Considering Gulf Countries Environmental Conditions”, The International Conference on Energy, Water & Environmental Sciences (ICEWES 2018), November, 2018, Ras Al Khaimah-UAE. Ahmad Amhani, Hussain A. Attia, Mousa Mohsen, “Autonomous Electronic System for Environmental Conditions Monitoring and Controlling Functions”, The International Conference on Energy, Water & Environmental Sciences (ICEWES 2018), November, 2018, Ras Al Khaimah-UAE. Ahmad Amhani, Hussain A. Attia, “Autonomous Dust Monitoring and Cleaning System for solar Panel Applications in GCC Region”, The International Conference on Energy, Water & Environmental Sciences (ICEWES 2018), November, 2018, Ras Al Khaimah-UAE. HA Attia, “Comparative design of fuzzy logic controller for photovoltaic panel maximum power point tracking”, Electrical and Computing Technologies and Applications (ICECTA), 2017, Ras Al Khaimah-UAE. M Al-Hattab, M Takruri, H Attia, H Al-Omari, “Decentralized localization in wireless sensor networks”, Electrical and Computing Technologies and Applications (ICECTA), 2017, Ras Al Khaimah-UAE. HA Attia, S Ismail, HY Ali, “Design of enhanced vehicle safety system based on the evaluation of driving errors”, Electrical and Computing Technologies and Applications (ICECTA), 2017, Ras Al Khaimah-UAE. Amhani, HA Attia, “Online multi-parameters electronic monitoring system for solar photovoltaic panel applications”, Electrical and Computing Technologies and Applications (ICECTA), 2017, Ras Al Khaimah-UAE. HA Attia, A Omar, M Takruri, “Design and implementation of wireless diagnostic system for street light dimming applications”, Electrical and Computing Technologies and Applications (ICECTA), 2017, Ras Al Khaimah-UAE. Hussain A Attia, Amjad Omar, Maen Takruri, “Design of decentralized street LED light dimming system”, 5th International Conference Electronic Devices, Systems and Applications (ICEDSA’ 2016), Ras Al Khaimah-UAE. Maen Takruri, Maram W Rashad, Hussain Attia, “Multi-classifier decision fusion for enhancing melanoma recognition accuracy”, 5th International Conference Electronic Devices, Systems and Applications (ICEDSA’ 2016), Ras Al Khaimah-UAE. A Omar, M Rashad, M Al-Mulla, H Attia, S Naser, N Dib, RM Shubair, “Compact design of UWB CPW-fed-patch antenna using the super formula”, 5th International Conference Electronic Devices, Systems and Applications (ICEDSA’ 2016), Ras Al Khaimah-UAE. Hussain A Attia, Maen Takruri, Halah Y Ali, “Electronic monitoring and protection system for drunk driver based on breath sample testing”, 5th International Conference Electronic Devices, Systems and Applications (ICEDSA’ 2016), Ras Al Khaimah-UAE. Beza Negash Getu, Hussain A Attia, “Automatic Water Level Sensor and Controller System”, 5th International Conference Electronic Devices, Systems and Applications (ICEDSA’ 2016), Ras Al Khaimah-UAE. Hussain A Attia, Shereen Ismail&, Halah Y Ali, “Vehicle Safety Distance Alarming System”, 5th International Conference Electronic Devices, Systems and Applications (ICEDSA’ 2016), Ras Al Khaimah-UAE. Beza N Getu, Hussain A Attia, “Automatic control of agricultural pumps based on soil moisture sensing”, IEEE Conference; AFRICON 2015, Sept. 2015, Addis Ababa, Ethiopia. Beza N. Getu ; Hussain Al Thehabawy “Identification of Dialed Telephone Numbers in Touch Tone Telephone System based on Frequency Analysis”, International Conference on Computer Vision and Image Analysis (ICCVIA’2014), 25-27 March, Ras Al Khaimah, UAE. HA Attia, HW Ping, Y Al-Mashhadany, “Design and analysis for high performance synchronized inverter with PWM power control”, 2013 IEEE Conference on Clean Energy and Technology (CEAT), Nov. 2013, Lankgkawi, Malaysia.